Recorded by Matt Fell at Love HZ Studios, ‘Troubadour’ is another fine example of how, says Double J, ‘Jenny Mitchell skirts the line between indie and country more than anyone on the Tamworth bill,’ in regards to this years Tamworth Country Music Festival. Wildfires reached #1 on the Alternative Album NZ iTunes and #4 on the Official NZ Album Charts. Mitchell says the accompanying video is, ‘my way of portraying both the lonely and truly magical times tend to co-exist in the life of musicians.’ It features her playing on a stage, to what is eventually revealed to be an empty theatre. The one-take video was recorded in Dunedin, where Jenny currently lives, and was produced by local music lover Made by Wade. 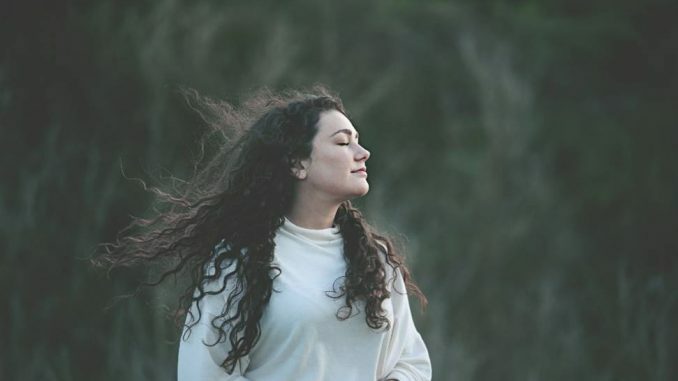 This release comes off the back of appearances at the Tamworth Country Music Festival, the Illawarra Folk Festival and the Tablelands Folk Festival, while Mitchell has also recently supported acts including Luke O’Shea, Felicity Urquhart and Brad Butcher. A highlight of her critically acclaimed album, Mitchell sings, ‘as soon as I settle I get hungry for the road.’ She isn’t settling anytime soon, which is just as well given the masses are waiting to be fed more of her folk-music goodness.